I have focused my research on dealing with the loss of a loved one, either by death or by the end of a relationship. These are the most common reasons for people to come to my therapy practice. Bereavement – Bereavement is defined as the objective situation one faces after having lost an important person via death. Mourning – Mourning is defined as the public display of grief. (1) While grief focuses more on the internal or intra-psychic experience of loss, mourning emphasizes the external or public expressions of grief. 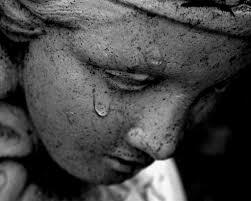 Consequently, mourning is influenced by one’s beliefs, religious practices, and cultural context. Anxiety from the distress of separation. A process of mourning often accompanied by symptoms of depression. Anticipatory Grief – Anticipatory grief refers to a grief reaction that occurs in anticipation of an impending loss. Stroebe MS, Hansson RO, Schut H, et al., eds. : Handbook of Bereavement Research and Practice: Advances in Theory and Intervention. Washington, DC: American Psychological Association, 2008. Jacobs S: Pathologic Grief: Maladaptation to Loss. Washington, DC: American Psychiatric Press, Inc., 1993. Prigerson HG, Jacobs SC: Perspectives on care at the close of life. Caring for bereaved patients: “all the doctors just suddenly go”. JAMA 286 (11): 1369-76, 2001.